What are some of the words that spring to mind when you hear the expression “Russian oligarch”? “Law-abiding”, “easy-going”, “intellectual”, “profound” are probably not—I”m guessing—among them. Much, it would seem, has been written and said over the years about these cheeky entrepreneurs who first came to prominence during the early days of glasnost and perestroika, these self-made oil baron multi-billionaires who courted the likes of Boris Yeltsin and Vladimir Putin and who weren”t afraid of enlisting the services of the Russian mafia or of spending a little time in jail if they felt it might help their cause. No, I”m not going to tell you what you already know. What I”d like to concentrate on are some of their lesser-known qualities, qualities that might surprise you, qualities you probably didn”t even think they possessed. What about, for instance: “down-to-earth”? Let’s start with that one. Can a Russian oligarch ever be described as “down-to-earth”? Well let’s have a look. Let’s take—oh, I don”t know—Roman Abramovich as an example. Now this unassuming, remarkably unaffected man not only has his own army (forty ex-special services body guards), but also his own air force (two private airliners, three private jets, three helicopters), and his own navy (two mega-yachts, two super-yachts, one yacht). His most recent acquisition, the mega-yacht Eclipse, cost roughly 1.2 billion pounds to make, measures in excess of 170 metres in length, and features such basic onboard necessities as an anti-paparazzi photo-shield, an Armour-plated master bedroom, bullet-proof windows, two swimming pools, two helipads, a missile detection system, and a submarine which also doubles up as an escape pod. So, in answer to the first question—can a Russian oligarch ever be described as down-to-earth?—I think the answer is quite clearly: yes he can. But what impresses me even more than this almost monastic shunning of all non-essential earthly possessions is the sheer practicality that lies behind it. I mean, what do you do if you”re a Russian oligarch and you have to keep moving your helicopter from your helipad whenever one of your friends wants to arrive on your boat in another helicopter? 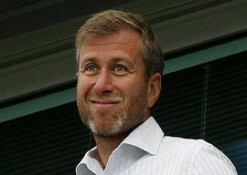 In Abramovich’s case, the answer was simple: you build another helipad (common sense, really, when you think about it). I can”t help admiring Abramovich’s practical approach to some of the other boats in his navy, either; 115 metre long Pelorus is used only for entertaining, 90-meter long Ecstasea is used only for cruising, and 50-meter long Sussurro is used only for short journeys and for lending to friends. It’s simple, down-to-earth pragmatism at its best. That’s all it is. So we”ve learned that Russian oligarchs can be down-to-earth and practical at the same time. How about “adventurous”? Are Russian oligarchs known as being particularly adventurous people? Well no they”re not, sadly. The truth is that most Russian oligarchs are famously intrepid travellers who have been known to venture as far afield as the treacherous alpine settlement of Verbier or the remote jungle island of Sardinia, both primitive colonial outposts where for many of the local children, the Russian oligarchs and their hardy entourages are the only white people they have ever seen. For me, it’s the way the oligarchs travel that really fires the imagination. They all seem to embody a kind old-world, pioneering spirit mixed in with a sense of ethnic fascination. They”re well-mannered, too. In fact, you could say that what defines the oligarchs and their extended entourages more than anything, perhaps, is their innate ability to immerse themselves quietly into local cultures whilst at the same time whole-heartedly embracing local traditions. In Sardinia, the natives welcome them with open arms, pouring down the beach in their hundreds to offer up gifts of fruit, livestock, coconuts, and beautiful hand-carved souvenirs. The oligarchs, in return, regularly invite many of these simple folk onto their yachts where they entertain them for days, sometimes weeks. I must say, that does sound quite funny! But remember that the oligarchs can get away with it because they give so much money to charity. They really do. It’s heart-warming to see just how many of them are prepared to invest significant portions of their fortunes back into the Russian economy, into the country whose people have suffered so much for so long and to which, after all, they themselves owe so much in return. Building bigger and better schools, improving hospitals, creating jobs; these are but a few of the areas targeted by these ruthless modern day saints. And it’s just as well—really—when you think about it: can you imagine if they didn”t do any of these things? Can you imagine if they didn”t put something back? What would they be then? I”ll tell you what they”d be: they”d be MONSTERS. What about this one: “religious”? Are Russian oligarchs religious people? Well yes they are, as a matter of fact. Very much so. Religion seems to be something of an obsession for many of them. In addition to the two swimming pools and the two helipads on Abramovich’s mega-yacht, you”ll also find two chapels (one fore and one aft) and one resident priest. It’s true! And unlike the resident submarine Captain who, unfortunately for him, spends most of his time sunbathing on deck and as a consequence is apparently bored out of his skull, the resident priest is rushed off his feet day-in-day-out making sure that Abramovich and his guests adhere to a rigorous program of abstinence, religious study, choir practice, and prayer. One last question: do Russian oligarchs go to heaven after they die? Of course they do. I”m surprised you even needed to ask.